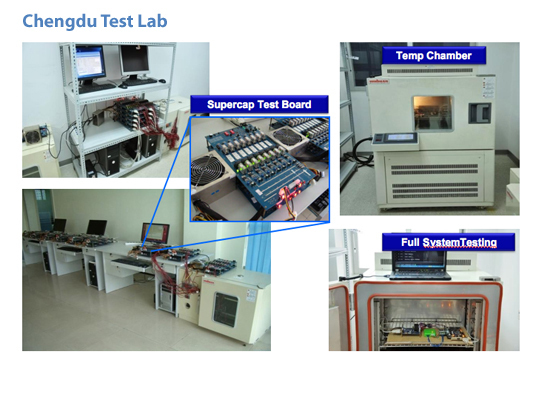 AgigA Tech has established a reliability test lab in Chengdu, China and has been continuously testing supercapacitors for more than a decade amassing a significant amount of test data that is unmatched in the industry. The test lab continues to run 24 hours a day, 7 days a week. 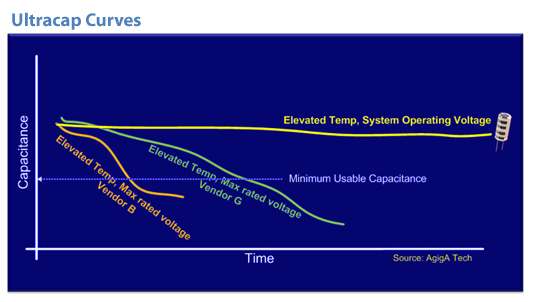 We have tested the supercap offerings of multiple manufacturers, at extended operating temperatures and voltages. Our goal is to basically “break” the supercaps, so that we may understand the failure modes and reliability of each. It is important to note that supercaps from various vendors age in different ways, much like you would see with batteries. It is all dependent on the materials used and the manufacturing capability of the vendor. Based on the extensive test data that we’ve taken, AgigA Tech has selected only the most reliable supercaps to incorporate into our PowerGEM® products. AgigA has shipped more than 2.5 million supercaps to the field to date, without a single return due to a failed cell. We’ve now extended this test methodology to the newer hybrid supercap cells, and with more than 2 years of testing, have now qualified those cells for production.